Heavy duty suction system for flat surfaces. 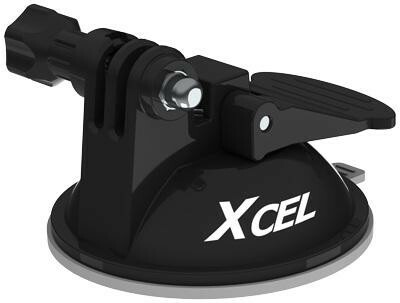 Clean and dry the bottom of the suction mount & the area where it’s being placed (boat, ATV, motorcycle & more. (1) Apply pressure on the lever by pushing it down to create suction and (2) fold the lever back to lock the suction mount in place. Compatible with all SpyPoint XCEL action cameras and mounts.